Today I finally got around to photographing some of my recent work. This is a job I loathe. I love the process of creating, but despise documenting it. There are two reasons for this: 1) I lose my patience with the process, which I know is just as important or more so that the original work and 2) I don't feel comfortable using a camera. Many thanks to Domingo, however, who has given me some tips on how to shoot my invitations. I tried following his advice, but would appreciate some more feedback from him and others. How can I make these photos stronger? Oh, and a little info about the invites. The top one was for a child's first birthday. This little guy had a farm-themed party complete with a pony, ducks, a lamb, baby goats, bunnies, kittens, hamsters and chinchillas! Wow...I wish I was turning one again! 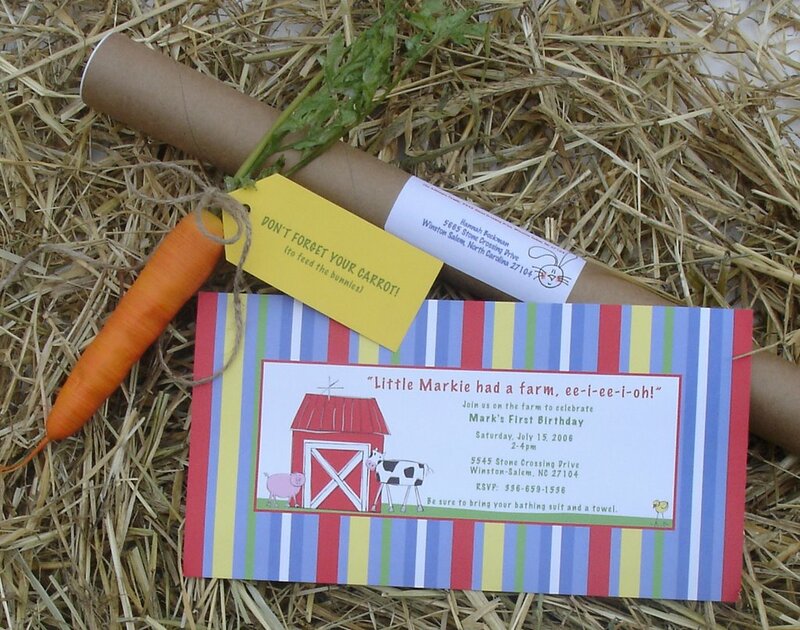 The bottom invitation plays off the idea of a wedding "shower." 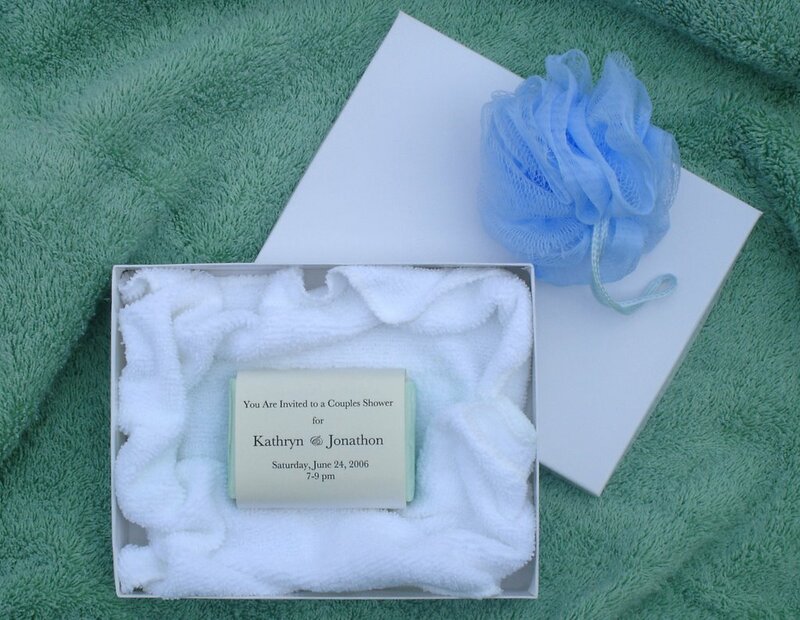 Guests received an invitation wrapped around a bar of soap in a box with a washcloth.